One of the main differentiators between buying an independent business and purchasing a franchise is the franchise formula. But what is a franchise formula? It is a proven model for marketing and operating a business from lawn care to garage door installations to educational systems to cupcake shops to a fast food restaurant. Independent businesses also have a formula, but their model is about that specific operation and how the current owner works the business. It is not a proven formula beyond its current state because there is no proof of it working in another locale or under a different owner. When you own a franchise business over many years you are continuing to pour value into your business and the franchise as a whole. As a result, the ability to sell if/when the time comes appears to be much greater. 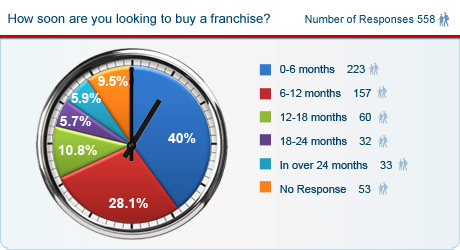 This is due to the fact that the franchise business is working in other locations among other owners. Of course, not all franchises are created equal. And it is the individual’s duty to perform due diligence and confirm that the franchisor is meeting the basic expectations of the franchise formula. This is done by reviewing the franchisor’s claims, investigating current franchisee performance and carefully studying the Franchise Disclosure Document [FDD]. The final step in validating the franchise formula is having a personal meeting with the franchisor. This is where you get to probe about the business philosophy and the company operational practices. See if they’re realistic and most importantly, if they fit your expectations and personality. This entry was posted in Franchise Evaluation and tagged franchise, Franchise formula, Franchise Fred, franchise support on April 18, 2014 by franchisefred.